Lezo Urreiztieta was a 16th-century pirate, born by mistake in 1907. Risking his life, he saved that of hundreds of people; he negotiated with foreign governments for a free Basque Country; he managed to slip 17 boats full of weapons into Bilbao during the Civil War; he was on the point of killing Franco... Forty years after his death, the tape recorder of writer Martin Ugalde reveals his incredible story told in the voice of the actual protagonist. Starting with unpublished conversations between the two held from 1975 to 1978, this film sheds light on the testimony of a key character in 20th century Basque history. 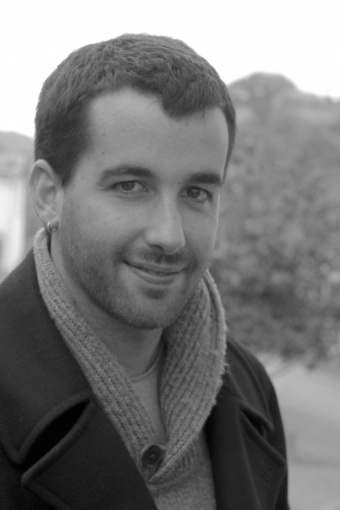 Josu Martínez is a researcher with the Audiovisual Communications Department of the University of the Basque Country and a member of the NOR team, dedicated to studying minority languages and audiovisual media. He has written and directed the documentaries Itsasoaren alaba (2009), Sagarren denbora (2010), Prohibido recordar (2010) and Gure sor lekuaren bila (2015), all premiered at the San Sebastian Festival. He similarly participated in the anthology documentary Barrura begiratzeko leihoak (2012). This year he has also directed the short film Ama, screened in San Sebastian as part of the Kimuak catalogue.